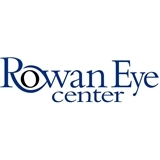 Rowan Eye Center (New Port Richey) - Book Appointment Online! The Dr and staff were all great. Dr actually took time to talk with me a bit and was gentle and explained what he was doing. Staff members were friendly and I am happy I chose to visit this office.